Web banners appear in rotation on a number of run-of-site positions including high-traffic locations like the home page, unsponsored articles and all research pages. Impressions and clicks of your ads are tracked. View our global audience statistics to find out how many IR professionals your ads can reach. Digital topic sponsorship gives you exclusivity on a topic section and individual articles under that section as well as appearing in the run-of-site locations mentioned in the Website advertising section above. View our global audience statistics to find out more information on the reach of our topic sponsorships. 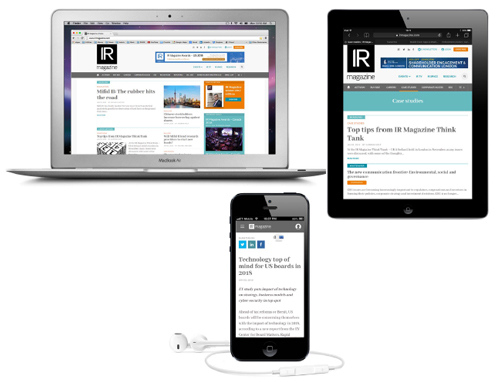 All news articles and a range of high-value research reports, features, eBooks, and events information will be published through social channels to IR Magazine’s already impressive global audience. IR Magazine’s high-quality global IR news is now available without a paywall and free to all registered readers. Our social following is expected to dramatically increase with the removal of news article paywalls on the new website. 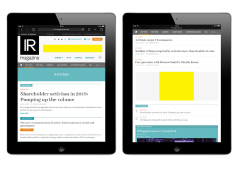 IR Magazine will publish each news story, research report, white paper and eBook to its active 7,287 followers to drive traffic back to the IR Magazine website. 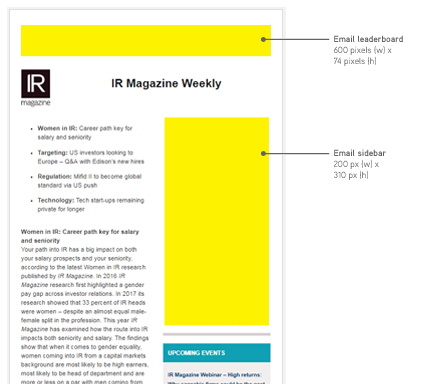 IR Magazine is a high-quality LinkedIn IR group with 2,282 active, senior IR executives. Editorial and research content is posted alongside regular forum posts from our editors. 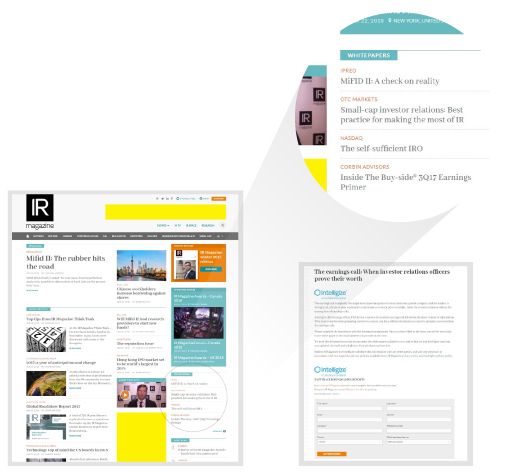 Many pages on the IR Magazine website feature white paper downloads: a collection of high-value white papers, research reports and surveys. 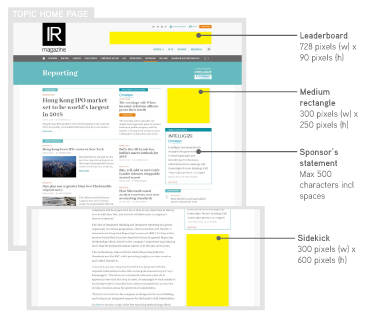 These pages are viewed every month by IR decision-makers worldwide. Website visitors are required to fill in a contact form before downloading, with the details provided in a lead generation report each week to drive sales activities. Native advertising is advertiser promotional content that matches the editorial style. 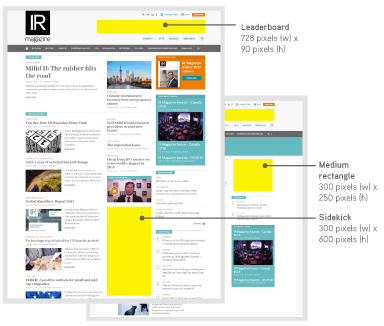 Native advertising drives targeted prospects from high-traffic IRmagazine.com to your website or content marketing piece, increasing your audience engagement, conversion rates and boosting ROI on your content investments. 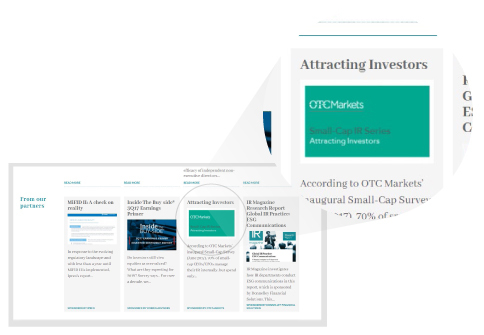 The native advertising opportunity includes an editorial-style headline linking to your content, the option to include an embedded video and your company name linking to your website. Weekly news roundup featuring commentary from leading IR professionals, service providers, analysts and investors. Showcasing the latest IR research and best practice with researcher interviews, finding summaries & action plans. A selection of our top magazine feature articles have been recorded in high-quality audio to enable IR professionals to keep up to date on the road. 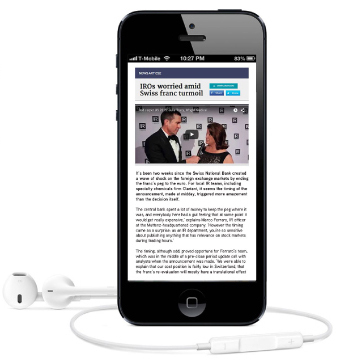 The audio articles can be streamed directly from your mobile or downloaded to your PC. 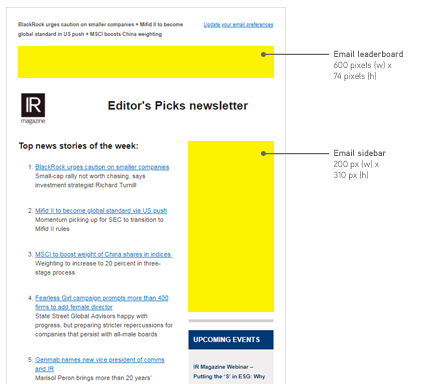 Editor’s Picks is a weekly must-read email that delivers free summaries and links for trending news stories from IRmagazine.com directly to top IROs’ inboxes and smartphones. 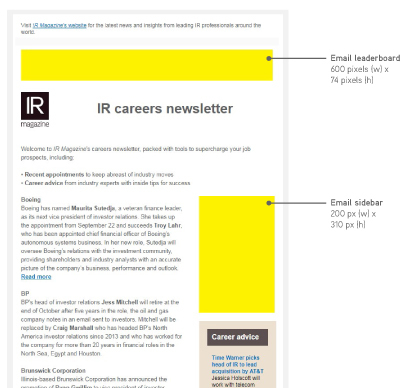 IR Careers is a unique and popular eNewsletter that tracks key IR appointments from around the world. It also contains career advice tips and new jobs from specialist IR recruiters.